- As the blossoms open, scattering new life across Maastricht, we bring you the second newsletter of 2019! - Over the next few months we’ll be starting a $2 million project with the World Food Programme in Kenya, co-hosting a workshop on structural transformation with UNIDO in Austria, and running a parallel DEIP innovation course and science reporting workshop in Bolivia. - Through our research and training we explore the push and pull of international development: focusing on innovation through science and entrepreneurship (#SDG9) and governance through public policy analysis (#SDG16). 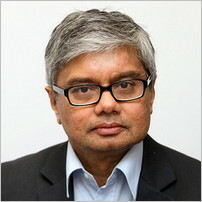 - On 2 May 2019, we’ll give the floor to Prof. Kunal Sen, director of our sister institute, UNU-WIDER. He’ll deliver a lecture on ‘Politicians and their promises in an uncertain world: Evidence from a lab-in-the-field experiment in India’, which will present new insights on decentralised systems of governance (#SDG16). - Later on 2 May 2019, our Master's study association DEMOS will host a PechaKucha event on ‘Sustainability, innovation and public policy’. Students and fellows will share their ideas in the special presentation format of 20 images x 20 seconds per image (#SDG17). - On 19-20 September 2019, we’ll co-host an international, interdisciplinary workshop on ‘The future of industrial work: New pathways and policies of structural transformation?’ Major partners include UNIDO and the ESRC GCRF Global Poverty and Inequality Dynamics Research Network (#SDG9). - To mark International Women’s Day, 8 March 2019, we co-hosted a Wiki-action event entitled, ‘Closing the gender gap: From exclusion to inclusion’. Participants created, edited and translated Wikipedia pages on women who have promoted inclusion and diversity; dealt with discrimination, prejudice and divisive stereotypes; or experienced violence, conflict, and/or forced displacement. (#SDG5). - On 19 March 2019, we kicked off an Innovation Pilot Programme to help entrepreneurs make strategic choices in Maastricht and surrounding areas. The programme covers small and medium-sized enterprises in sectors including tourism & recreation and life sciences & health, while also reaching out to firms at ‘Brightlands’ campuses in the south of the Netherlands. (#SDG9). - On 6-7 April 2019, we hosted the second Policymaking Simulation for Master students at our unique global university – from UNU-EHS, UNU-IAS, UNU-MERIT and partner universities of UNU-CRIS. This year the event drew inspiration from the work of the United Nations Peacebuilding Commission. (#SDG4). - Advanced regions of China have spearheaded the country’s growth in nanotechnology, thanks to support from central government. 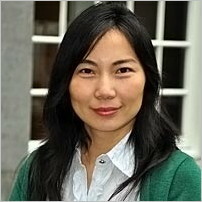 A journal article by Dr. Lili Wang asks whether this success has deepened regional inequalities, and if knowledge spillovers can make up the shortfall. 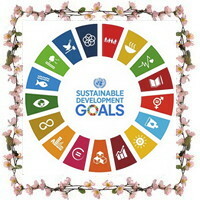 (#SDG9). - Science, technology and innovation (STI) was once hailed as the great accelerator of growth and welfare. But is it now in crisis, given the drying up of ‘trickle-down’ gains combined with the environmental fallout of e-waste? An article by Prof. Luc Soete looked at the last half century of STI, as it comes to a crossroads. (#SDG9). - Apply by 15 June / July 2019 (EEA / Non-EEA) for our Master of Science in Public Policy and Human Development (MPP). This double-degree programme is the fruit of a long-term partnership between Maastricht University and United Nations University. (#SDG4). 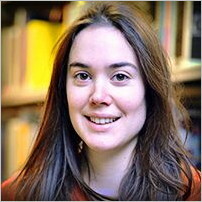 - Our ‘Evidence-Based Policy Research Methods’ (EPRM) course fills the gap between a Master’s and the start of a research project, be it work-related or for a PhD. This 14-week programme targets researchers and policymakers who want to sharpen their skills and outputs. Apply by 15 August 2019 for our autumn course. (#SDG8). 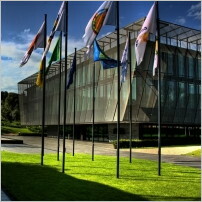 - UM’s next major event, set for 25 April 2019, is hosted by one of our alumni who now works at FIFA HQ in Zürich, Switzerland. - Meet old and new friends from across the UM, learn more about the legendary football institution, and have a drink at a local bar after the presentation and tour. The UM Alumni Office is sponsoring two drinks per person, as per long tradition. - See our recent posts on humanitarian social protection, how research grants fuel fieldwork, and how youth voting rights could be our best hope in the fight against climate change (#SDG16). 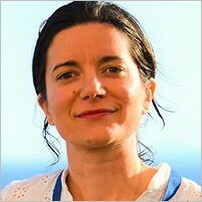 - Until next time, in early July, please check our social media accounts on Facebook, LinkedIn, Twitter and YouTube – where you can find new seminar recordings from researchers including Dr. Fabiana Visentin and Dr. Katie Kuschminder. - You can also stay up-to-date on all our major publications via our monthly ‘First Impressions’ roundup.